Note : Rates for 2 adults on double occupancy basis. Economy option does not include house boat. Please contact with detailed requirements for assured best deals. Sightseeing Around Munnar, [Flower Garden Nursery, Tea Plantations,Maduppetty Dam, Kundalai Dam, Echo point, Top Station View] Relax overnight in Munnar. Transfer to Thekkady (110 km, 3.5 hours). Sights on the way: [Periyarkanl Water falls, Tea Plantations, Lockhart Gap View point, Cardamom & coffee Plantations: At Thekkady: Boating in Periyar Lake, Elephant Ride & Spice garden visit Kathakali Show, Have Ayurvedic massage etc…]. 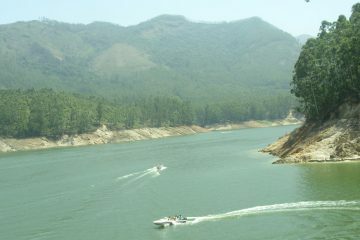 Enjoy overnight in Thekkady. Transfer to Alleppey(180km, 5 hours). 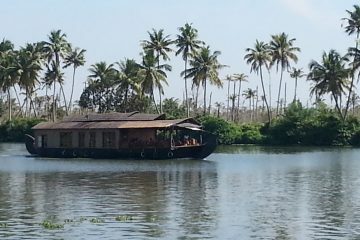 Visit Temples & Churches Take a motor boat ride and walk through village, Relax overnight at Resort \ Hotel. 12.30 Check in on House Boat. [Lunch….Sight Seeing….Tea & Snacks ………Dinner] Stay overnight In House Boat. Transfer to Cochin. 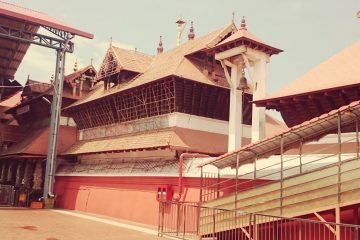 Sightseeing around Cochin. [Dutch palace, Santa Cruz basilica, Vasco House, St. Francis Church, Jewish Synagogue, Jew Town, Chinese Fishing Nets, Marine Drive, Boating etc.] Drop to Airport. We had a wonderful trip to Kerala. Me, my wife and kids all had a great time. Our special thanks to Mr. Benny George for the excellent hospitality. Thanks also to Mr. Anil (Cabbie) for his patience and driving skills. The entire package was very economical and affordable at every stage. I would recommend all my friends to approach Musafir Tours for their Kerala tours in future. I myself may visit once again, Thanks Musafir, Thanks Kerala.